It is the very happiest moment for you when you subscribed news update, music by the simple click on the link. Because you know that every update you will receive from that portal without failure. You will not be remembered to portal authority to provide the new content. System generated mail will knock your inbox and notification flash on computer and mobile. When you want to remove or disable the subscription, it is the easiest process to unsubscribe by the simple click on URL or button. The main problem you face when you subscribe to it every month. The famous apple music subscription is available on iOS. If you are interested to listen to music this is the best platform for you and you can be also subscribed to it. This is famous for users because the platform provides so many tracks in the catalog. The big option available for users. So the perception has been set in mind that this is the good platform for music listeners. The main problem is that the users subscribe every month after ending the three month trial period. If you do not want to subscribe it every month then follow the given tips. You can hide the features of the platform by adopting some tricks. These tricks are applicable to your iPhone, iPad, Touch iPad, and Mac. 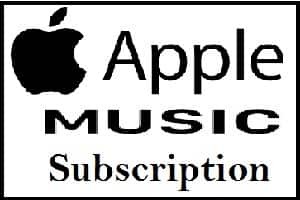 What Is The Process Of Apple Music Subscription Cancellation? First move to the setting option of your iPhone, iPad touch or iPad. Now go to the music section. Just switch off the “Show Apple Music”. If you adopted this method then that music will safe, which you keep listening. That will be not deleted from the system. You should be remembered that your iCloud music library should be enabled during the process. If you want to hide the apple music in MAC, then follow the instruction as given below. Open iTunes. Now choose the preferences in the iTunes menu or edit preferences in PC. Then click on General Tab and now un-check the box of show music. If you disable icloud music library then all songs will be deleted from offline track and apple music. So, be careful during the execution of the process. How To Disable The iCloud Music Library? To disable the music library from iCloud adopt the process given below. First, go on setting option and then search music section. Now un-check the iCloud music library and finally off it. To do all these things you will go on the preferences of MAC and un-check the iCloud library. This is not the final remedy to remove or disable subscription. But hide the maximum features to resolve the issue at the maximum level.